Allows you to turn an unordered list of vimeo user video's into a video playlist. The php script makes the vimeo list on a fly and uses the simple Api v2. You can choose to make a video playlist from a user with the following options. 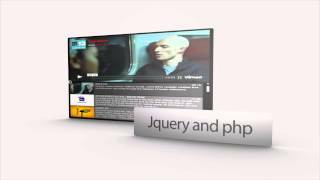 There are many options which can be set in the php script and in the jQuery function. Including the new html5 vimeo iframe player.